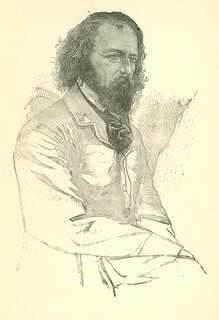 Image from THE COMPLETE WORKS OF ALFRED TENNYSON, published by R. Worthington Co., New York, 1890. This image is in the public domain and I make no claim on it. That said, if you use it somewhere and want to drop me a line, please do so in the comments here. Enjoy!